Challenge #6 is to make a Get Well card. I've had this crazy stamp set and decided to use it for this card. Hope everyone gets a chuckle out of it! If you're not familiar with Kassidy's Challenge, go to her blog and check it out. Such a great cause! 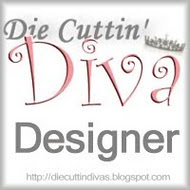 Pat I have a Stinkin' Cute blog award for you and others if you want it! Such a cute card. It will definitly make someone feel better instantly! What a stinken cute card! All of your OWH cards are fantastic but this one is so funny! Love it! I'm sure it will bring a much needed smile to someone's face!